Exclusive to Jobes, this formula is designed to help you improve soil fertility needed for optimum plant growth. In order to grow productive, healthier tomatoes and vegetables, soil preparation is important. For garden beds, sprinkle 1 cup of Jobes Organics Vegetable & Tomato Food per 10 sq. ft. over the garden surface plus one to two inches of compost. Mix into the top 4 to 5 inches of soil and water thoroughly. It's no secret that fruit trees need nutrients. Healthy, disease free trees make your yard look spectacular. Jobe's Fruit Tree Spikes ensure a continuous supply of nutrients below the surface, where the tree's active roots are growing. They are easy to insert around the tree's drip line and last for 60 days. Cedar Mulch is a 100% natural ground cover. Cedar mulch is processed from the bark and unused materials from lumber and wood production then packaged with no additional additives or colouring. Cedar mulch is a ground cover, to be placed around trees, shrubs and perennial plants. Cedar mulch provides a stable ground cover for trees and shrubs protecting the root system from extreme heat and cold, helps to retain moisture and reduce watering, reduces weed growth and is a natural insect repellent. Cedar mulch is acidic by nature, leaching into the root system. Ideal for all plants, particularly acid-loving plants. A great value, available in a convenient 2 cubic foot bag size, ready to use. Sea Spray Organic Kelp Fertilizer. Fertilization is critical for keeping your garden healthy and vibrant and your lawn lush and green, yet common fertilizers available at garden care centres contain high levels of chemicals that can be detrimental to the environment. Kelpman has developed its line of organic fertilizers with minimizing our ecological footprint in mind. Sea Spray Organic Kelp Fertilizer promotes seed germination and increases root and crop yields like conventional fertilizers, yet it is non-toxic and safe for all outdoor applications as well as indoor houseplant and edible herb applications. Keep your plants healthy and lush all season long while doing a little something to keep the environment healthy and sustainable by using Sea Spray Organic Kelp Fertilizer. 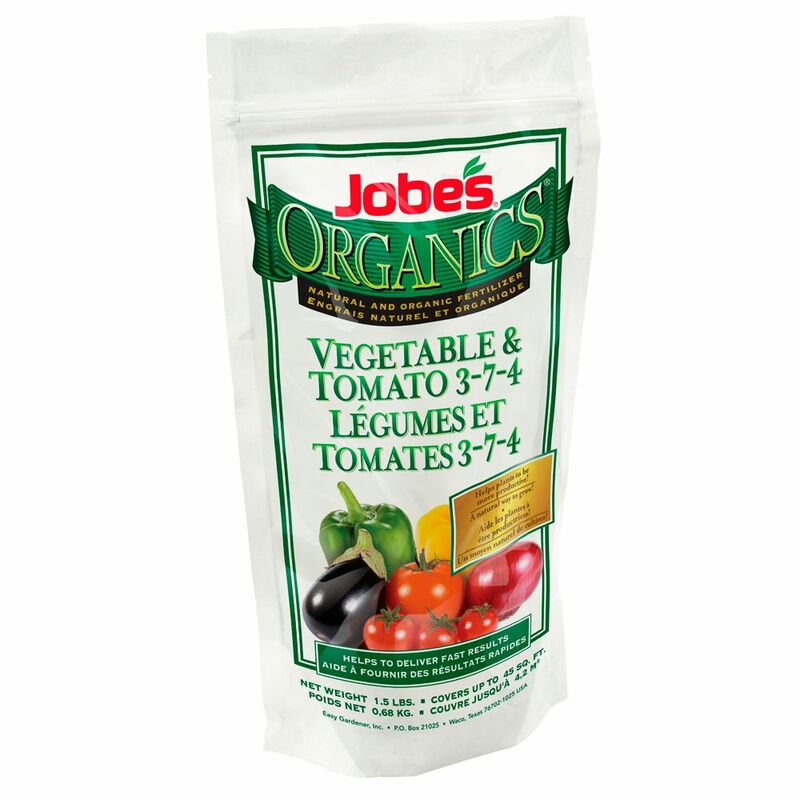 Jobe's Organic Granular Vegetable Tomato 1.5 Lb Exclusive to Jobes, this formula is designed to help you improve soil fertility needed for optimum plant growth. Jobe's Organic Granular Vegetable Tomato 1.5 Lb is rated 4.7 out of 5 by 7.